Visual aspect : Vanilla seeds. This naturally but lightly flavoured and scented powder will add this charming "vanilla seeds" to every single preparation you use it in. It’s usually used by pastry chefs and chocolate makers when they make ice-creams custards, puddings and every other preparation such as macerations for example. You can also use it when preparing jams, sauces or any dairy preparation. The maximum level of vanillin is up to 0.2% per batch. 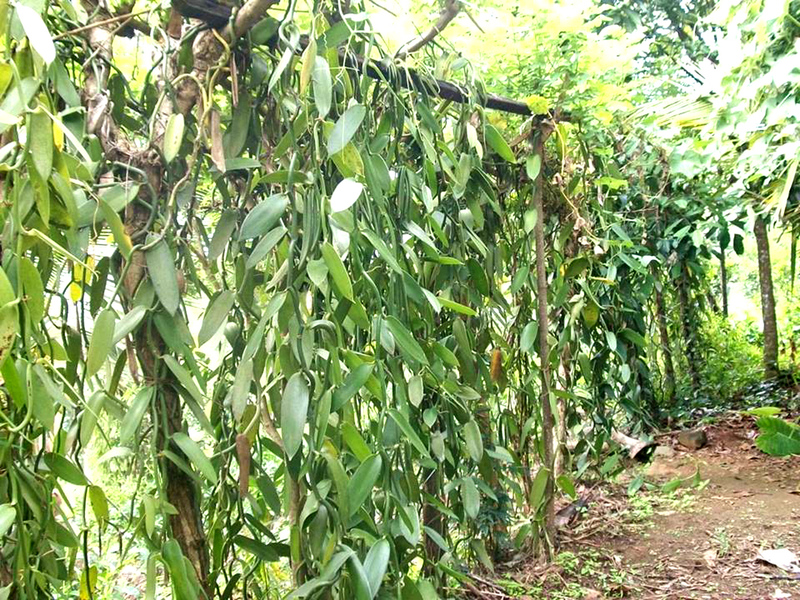 It can’t replace the use of vanilla beans but can be used in addition to it. 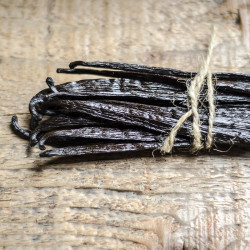 What exactly is exhausted vanilla beans powder? Once you’ve emptied your vanilla bean to take all the seeds out, you’re left with an empty pod that you don’t use most of the time. It can be dried and ground into a black powder. It’s not tasteful enough to be used on its own per se but it’s not useless either. You can use it in combination with your usual vanilla flavour input. 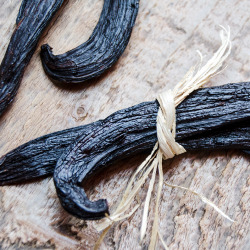 Exhausted vanilla beans powder is not to be confused with vanilla sugar, vanilla extract or vanilla beans. You can add it to any of your preparation to enhance its visual aspect. That is how big companies use it to give it this "true vanilla" aspect to their ice-creams for example. It will help give all your creations an even more gourmet aspect that you wouldn’t achieve solely with a vanilla bean. Just add it to any batter and you’re done! I’d like to insist on the fact that it won’t be able to give a vanilla taste to your cooking on its own. Remember to use it as a complement to your vanilla beans. You can use it while preparing custard, ice-cream, chocolates, crème brulée, puddings, icing, yoghurts, applesauce or even fruit salads. How to keep it "fresh" ? Simply store it in a dry place, away from the sun and under 25°C (77°F). Bel aspect, bonne odeur, pas encore utilisée.